Let’s be real—it’s impossible to know everything. So what actually matters? Maybe you know this situation well or you’re going through it for the first time: You got the call to come in for an interview (yay! ), but now it’s time to buckle down and do your research on the company. Very quickly, you realize just how much information there is out there. So what is the most valuable information you should focus on? While company facts are important to know—date established, who leads what department, what products or services they offer—it is more important to convey to your interviewers that not only have you done your research, but you’ve also thought about this information in ways that show how your skills would impact the company. Focus on understanding these five topics, and you’ll be sure to impress the hiring manager. It doesn’t really matter what your role will be with the company. In every situation, knowing how your work will impact the company’s bottom line is the most important prep work a candidate can do heading into an interview. Start by researching the information that matters to your potential position. “Be really, really knowledgeable about the company's products or services so that you can frame your potential employment in terms of how you'd interact with the company's source of revenue,” says Lynda Spiegel, founder of Rising Star Resumes, a career coaching and resume service based in Forest Hills, New York. For example, if you’re applying to a company that prides itself on meeting tight deadlines, explain to your interviewer that your excellent time-management skills can help improve productivity. OK, so you know basically what the company does, and you’ve got an idea of how your work will affect its goals. But if you can understand the company’s core challenges—perhaps by reviewing company social media pages, blog posts and mission statement—you’ll stand out to interviewers as thoughtful, prepared and a critical thinker. “Relate to their problems and explain how you would love to be able to contribute to them turning these into opportunities,” says Jordan Bradley, a digital marketing executive at High Speed Training, an online learning provider located in Leeds, England. If the company is experiencing a growth spurt and is struggling to quickly fill positions, make it clear to the interviewer that you are someone who comes to the job on day one with your sleeves rolled up and ready to get to work. You don’t have to have a complete understanding of the market, but if you’re able to internalize who the company’s core competitors are, you’ll be able to contextualize your conversation with interviewers and impress them. Asking questions about the company’s position in the market as it relates to competing brands demonstrates interest and preparedness. It’s standard practice for interviewers to research their candidates on social media before they come in for an interview. You should do the same thing and research the people with whom you’ll be speaking. Check out their LinkedIn profiles and Twitter accounts to get a sense of who they are and what they’ve accomplished. Putting a face to a name also might help ease any nerves. “Know their likes and guide the conversation accordingly,” recommends Scott Eisenberg, CEO and founder of Swap The Biz, a networking events company in New York City. It might seem basic, but a core part of any interview is talking about what you’d be doing for the company; interviewers love to ask candidates about the roles and responsibilities they would have as an employee. It’s impossible to know everything about a company—and that’s OK. Your interviewer isn’t expecting you to know every detail. The key is to put in the work to understand these key areas, and then be yourself. 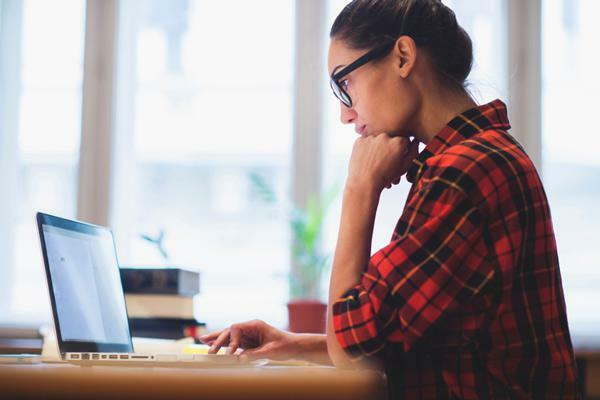 There's plenty you need to know as you move throughout your career, from industry trends to who's hiring in droves to the changing nature of in-demand jobs. Could you use some help keeping track of it all? Join Monster today. As a member, you'll get career advice and job search tips sent directly to your inbox. It's a quick and easy way to keep your finger on the pulse of the ever-changing workforce. The more you know, the better you can position yourself for growth and success.